I actually did this framing over a week ago, so I'm a little behind. 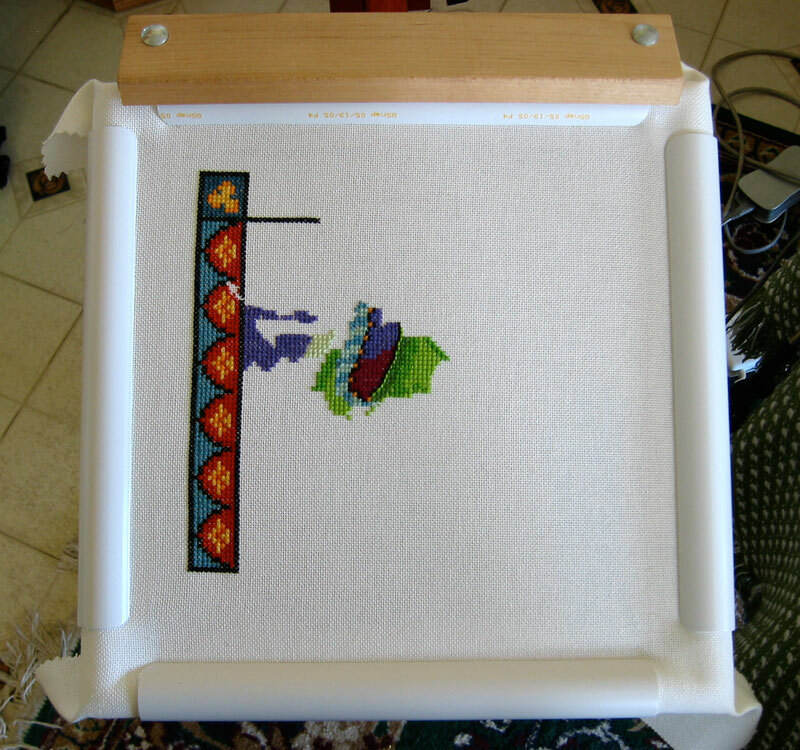 This piece has had the stitching finished on it for about 4 and a half years, and now it is finally in its frame. I didn't get the tension exactly right, so there is a slight bump visible, but other than that, I'm pretty happy with it. (And the bump doesn't show up as much as it does in the photo, since there was bright light to the side.) Right now it is sitting on the mantle in the living room since I haven't figured out where I want to hang it. 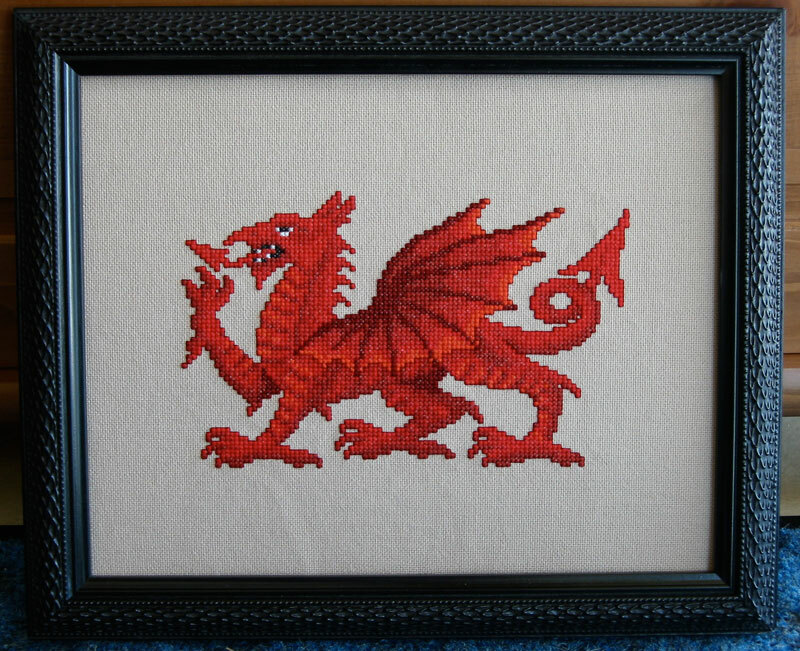 Next up is a progress photo of the Heritage Stitchcraft dragon, although it's a but out of date. I've actually done the top band now too, but no photo right now. And last but not least, my first batch of Silkweaver "Fabric of the Month" fabric arrived! I'm on the rotating schedule, since I wanted a variety of counts, colors, types and sizes. 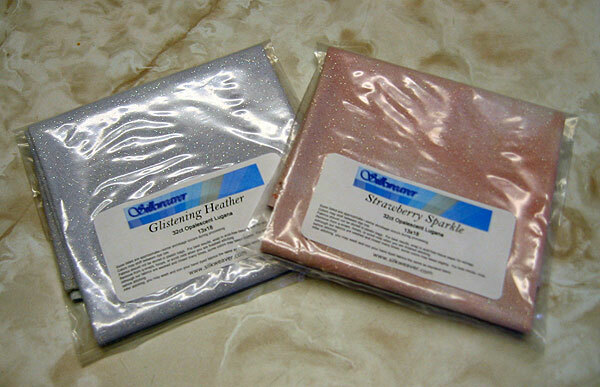 I don't have anything in mind for the pink fabric, but I know just the thing for that sparkly light purple fabric! 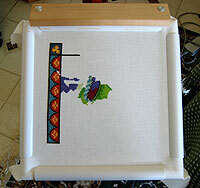 Stay tuned, since I'll probably stitch it up during Spring Break, when I'm planning on taking a lot of time of off work. 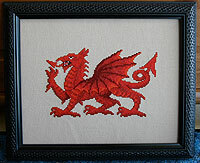 The dragon framing is lovely - the black frame really recedes back and lets the red take center stage. Really nice work! Thanks so much. I really loved that frame when I found it.. it didn't over-power the design, but it looks like it has 'scales', which goes great with a dragon!